Police have seized a scrambler involved in a collision in Mossley on Monday evening. A nine-year-old boy was hospitalised after a collision with the off-road vehicle at Mossley Pavilion at approximately 8:45pm on October 3. 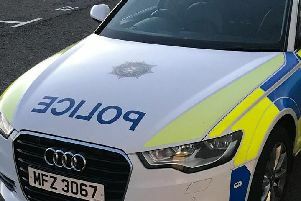 Sergeant Arnie O’Neill from Newtownabbey PSNI said: “Following on from yesterday’s media appeal for witnesses in relation to this collision, I’m happy to report that we have since seized the motorcycle involved. It is currently being examined at Newtownabbey PSNI station. There is no front brake lever on this bike. The rear brakes do not work either. “You may also remember a few weeks ago we seized an orange motorcycle in the area of The Oaks/Rush Park. Similarly, this bike was also in a dangerous condition. “The driver has contacted police and an investigation is currently ongoing.